For those that do dairy, but not eggs, this is a perfect dessert. The creamy frothiness of the mousse pairs wonderfully with any meal and is a pleasure to eat. The great thing is the cocoa is what stands out. It is the key ingredient, not in flavor, but its ability to emulsify the milk and help it from not curdling. This will require some cooking on the stove top, but the prep should be easy enough with six ingredients. Chocolate mousse is a delectable treat enjoyed by many out there. Look for ways to make an egg-free chocolate mousse for guests. 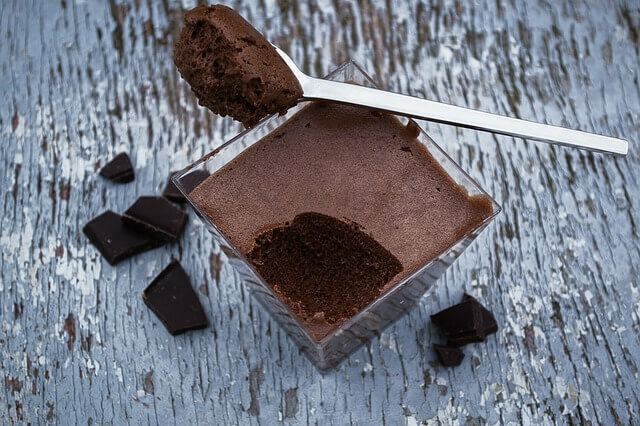 Use Dutch cocoa to add great taste to the chocolate mousse itself. The alkalinity of the Dutch cocoa could prevent the dairy from spoiling too. Dark chocolate will imbue an intense flavor and add some stability to the base. Try to condense the milk and cream used with the dish overall as well.